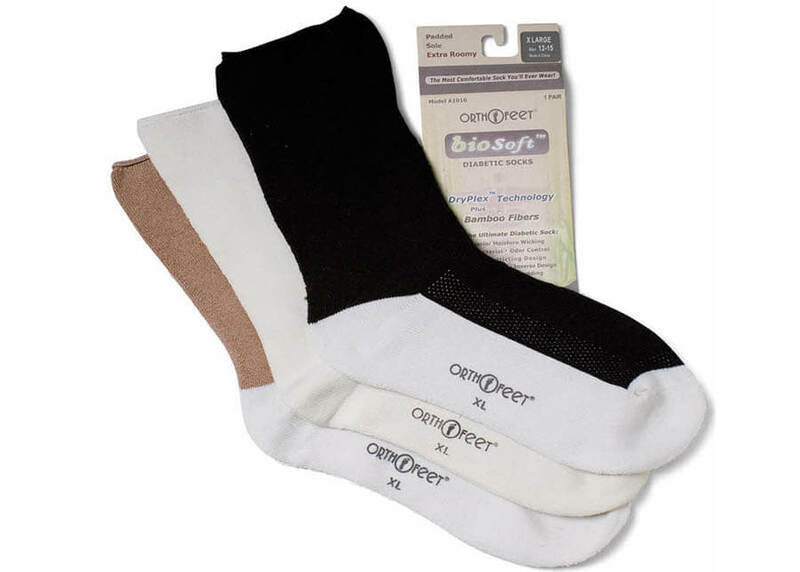 BioSoft™ Diabetic Socks by Orthofeet are wide, ultra loose, extra roomy socks with soft Terry padding with moisture-wicking DryPlex™ technology and anti-bacterial bamboo fibers to protect sensitive skin. 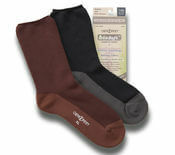 Sizes M (for men's wide shoe sizes 6 to 8½), L (shoe sizes 9 to 11½) and XL (shoe sizes 12-15). Trying is believing! Three pairs for $28.50.